From lead singer, solo artist, to fashion designer—we’ve enjoyed watching Gwen Stefani’s career evolve throughout the years. With each change in her professional life comes a change in her style, too. In fact, things took quite an impressive turn when the songstress got pregnant with her third child back in 2013. Instead of hiding away in drab and boring clothing, Gwen proved that she could comfortably incorporate her unique, edgy style all throughout her pregnancy. 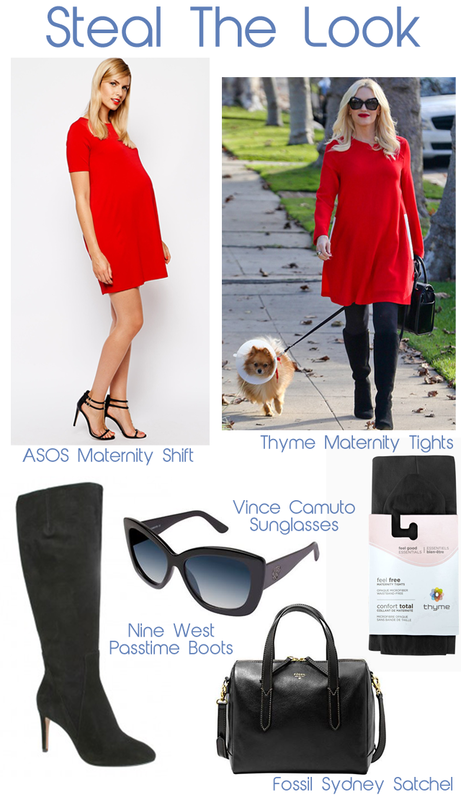 From her high heels, impressive eyewear and her signature red lipstick—this mama rocked her favourite staples all throughout her nine months. 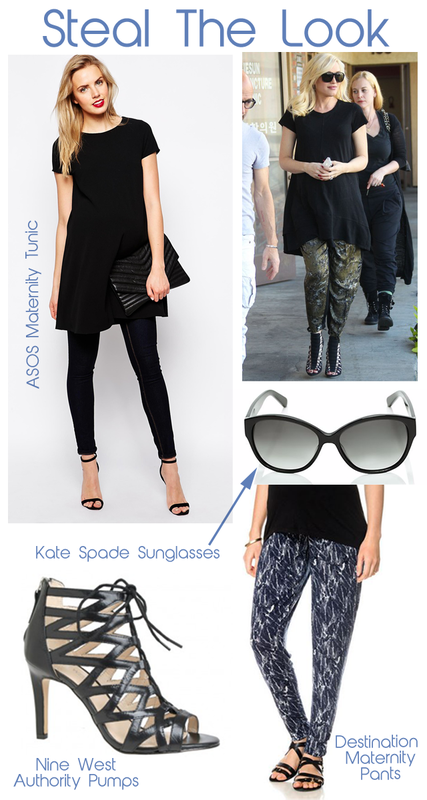 For a maternity style lesson that’s just too “Hella Good” to pass up, here’s how you can get a Gwen-inspired look. If there was ever any doubt about whether an expectant mom could look this edgy and cool, we give you exhibit A. Back in January 2014, a very pregnant Gwen stepped out wearing some extra tight leather pants and denim jacket featuring some leather sleeves. She complemented her outfit with a pair of strappy high heels and in true Gwen Stefani fashion, finished her look with a great pair of sunglasses and a classic red lip. How to achieve this look: Layer up the leather, mama! Get a black long sleeve shirt and pair it with some faux leather leggings. Instead of the denim-leather outerwear, to go all out with a urban leather moto jacket. Once you’ve got that, strut it in a fab pair of lace up heels with your go-to sunnies in hand! Back in November 2013, Gwen rocked some red and black on her way to a family Thanksgiving dinner. The singer, who was six months pregnant at the time, wore a flowy red dress paired with black stockings and suede boots. Her look was complemented with a pair of oversized shades, her signature red lip and her very cute Pomeranian, of course! How to achieve this look: The key to this look is a statement red dress - one that’s loose, flowy and easy to wear. Throw on some stockings and pair it with some knee-high boots, along with a matching black satchel. Now if you really want to stand out, go for some oversized cateye sunglasses and whip out your boldest shade of red lipstick. Go big or go home, right? Note: cute, furry companions are optional. Loose but not frumpy! One month before her due date in 2014, Gwen stepped out of an acupuncture clinic wearing a long, loose tee and printed joggers. In a relatively toned down look, Gwen amped things up with strappy heels and oversized sunglasses. How to achieve this look: Maternity clothes typically like to be tight and fitted, but Gwen proved loose can also look lovely. Joggers are all the rage right now, so choose one with a fun print that suits your style. Pair it with a loose fitting tee, then take this look from casual to chic with some strappy footwear. This look is all about minimal effort but with all the urban flair. Before Blake Lively stunned us all with her impeccable mommy fashion, it was Gwen who was the reigning queen of maternity style. And if you weren’t convinced yet, this will surely change your mind. Back in December 2013, Gwen treated herself to a little shopping spree while wearing a black-on-black number and a stunning plaid trench coat. Feminine, sophisticated and slightly over the top—if anyone could slay, it would be Gwen. How to achieve this look: It all starts with the little black dress from Seraphine, identical to the one Gwen is wearing in this look. After pairing it with some black stockings and knee-high boots, go for a boldly patterned coat. Then keep your tresses slick and straight and transform this look with a fab red lip. Now, you’re ready mama! And before you ask, of course you can get groceries in this outfit.